Kirsti and I met in third grade, which is notable for both the beginning of our friendship and our introduction to the book No Flying in the House. Our teacher, Mrs. Jansen, would read a few pages from the book each day after the lunch recess, and students impatiently lined up at the classroom door to hear the next part of the story. Today is the birthday of the book’s author, Betty Brock, who passed away in 2003 at the age of 80, but will live forever in our childhood memories and in our hearts. 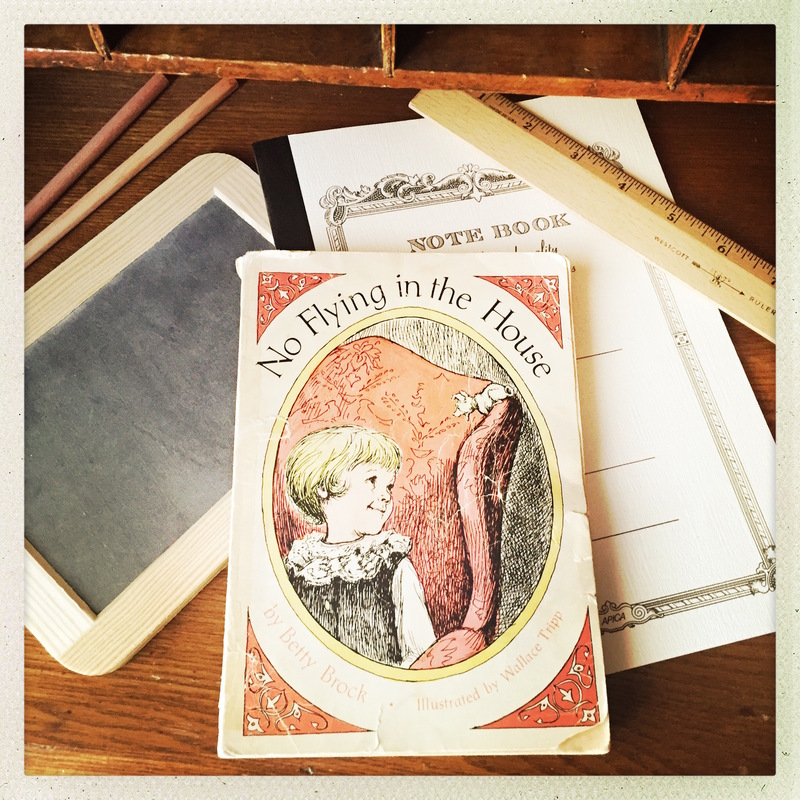 No Flying in the House tells the story of Annabel Tippens, a young girl who mysteriously appears one day on the terrace of wealthy Mrs. Vancourt accompanied by her guardian, Gloria—a talking dog just three inches high and three inches long. Although the formidable lady has no interest in children, she is an admirer of small things and wants Gloria for herself, so she accepts them both into her home. But when a talking cat named Belinda causes Annabel to question her origins and abilities, will Gloria be able to protect her secret? I have reread the book a number of times as an adult and it is still as captivating as it was in third grade. First published in 1970, No Flying in the House delighted a generation of children, but seems to be flying under the radar today. Kirsti and I marvel that it hasn’t been made into a movie yet. 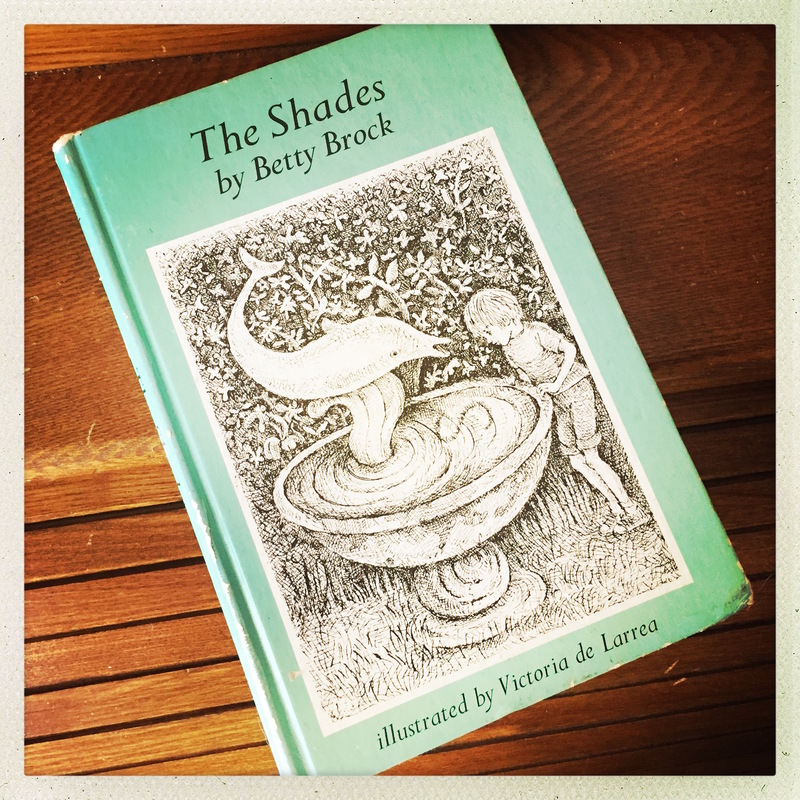 Betty Brock wrote only one other book, The Shades, which is equally fantastical and worthy of its own adaptation. The books are both suspenseful and even mildly frightening at times, which is what kept me on pins and needles as a child, but it was No Flying in the House that first inspired my imagination to take flight. On this special anniversary, I want to honor all of the teachers and authors who shaped my childhood and introduced me to the infinite wonders that can be found within the pages of a book. You wove your own special brand of magic and created swoon-worthy memories that will last a lifetime. Thank you. No Flying in the House and The Shades can both be purchased from Amazon and Barnes & Noble.